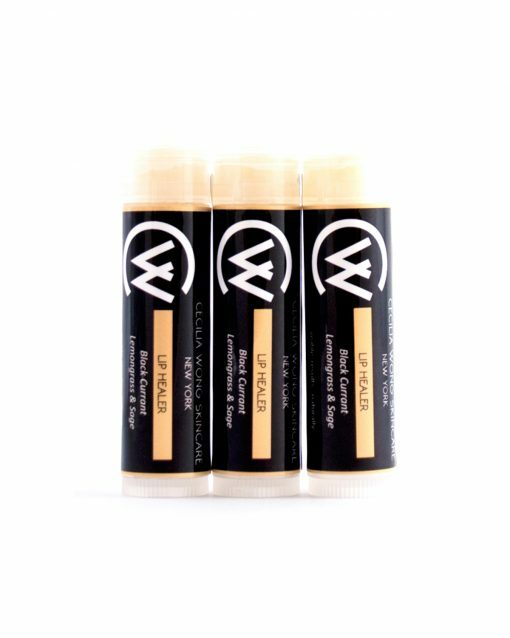 Your lips will fall in love with this addictive lip healer. A lush blend of 10 pure, good-for-you ingredients: exotic plant butters, blackcurrant seed oil, and botanical extracts nutritionally rich in antioxidants, vitamin C, and essential fatty acids. Dry lips soak up the nourishing benefits while being protected and moisturized. Loaded with uplifting, aromatic essential oils to induce a harmonious state all day long. Applying the exquisitely silky-smooth texture is a luxurious experience in itself. Nourished, moist, healthy, protected lips. 1. Before applying, inhale the aroma from the tube to promote an uplifting energy; smooth onto lips with a brush or finger. 2. Use as a cuticle balm for rough, dry skin.